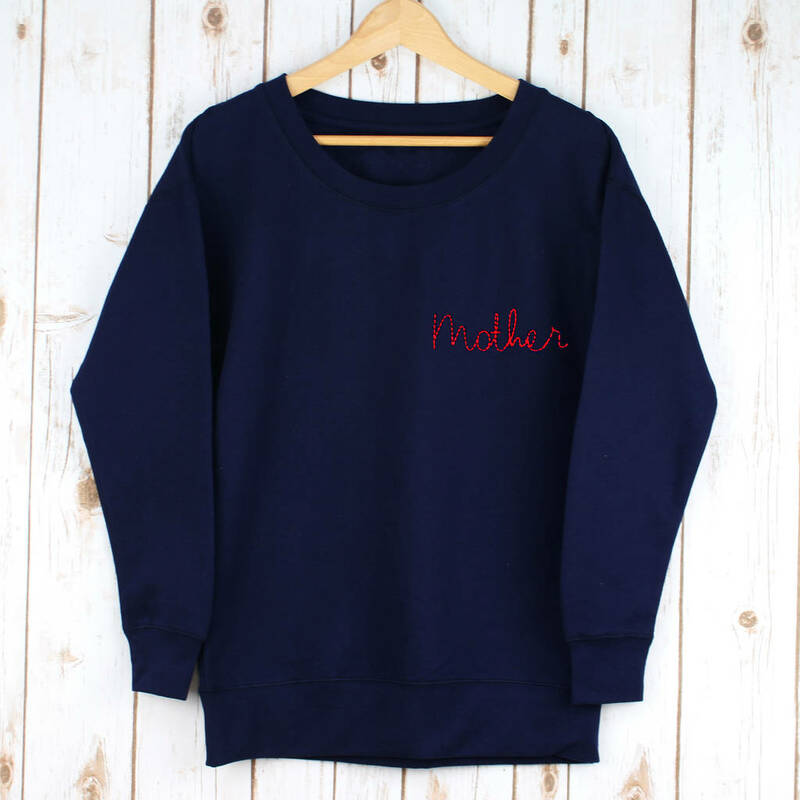 A unique ladies sweatshirt with the word 'Mother' embroidered in a range of colours. A lovely gift or treat for any mummy. The word 'Mother' is embroidered in a range of colours. 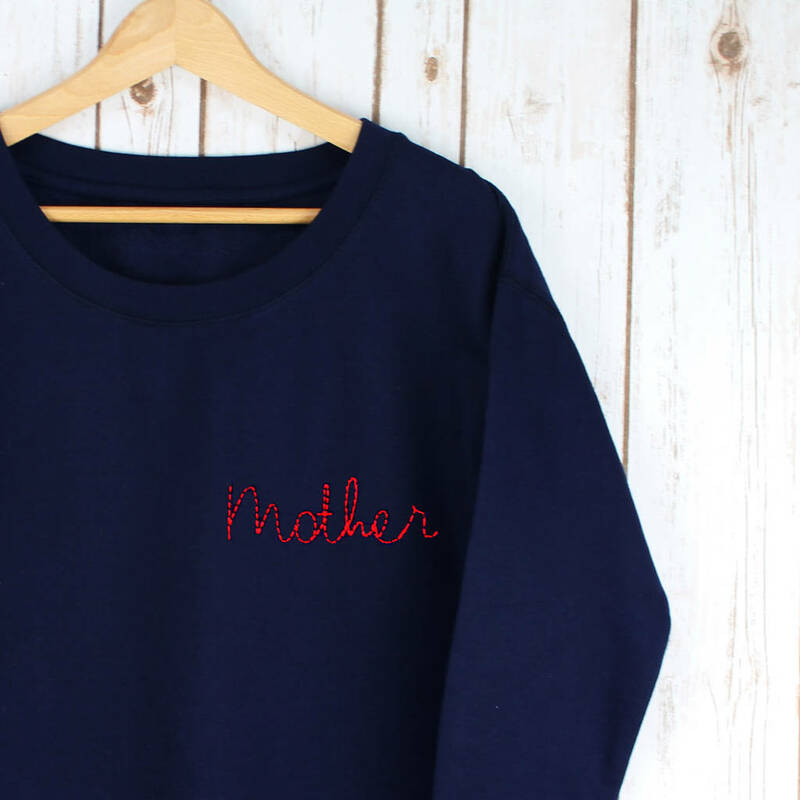 This ladies jumper is premium quality, made from a supersoft cotton blend and is handcrafted in our studio in leafy Surrey.